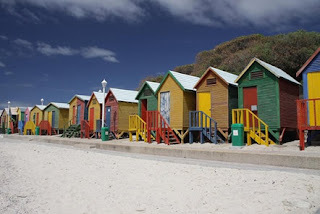 Team Building Cape Town, Muizenberg is a beach-side suburb of Cape Town on the shore of the False Bay coast. Muizenberg is considered to be the birthplace of surfing in South Africa, centered on the popular "Surfer's Corner"
Team Building Muizenberg, Muizenberg is part of the South Peninsula in Cape Town. The South Peninsula consist of Fish Hoek, Kalk Bay, Kommetjie, Muizenberg, Noordhoek, Simon's Town, and other smaller neighbourhoods. The Cape Peninsula is a rocky point at the most extremist point of the African continent.